Apps have changed our life up to a great extent. We depend on them for many of our needs. We have apps for literally anything- calculation, fun, health check, editing and the list goes on and on. While many are built just to consume our phone memory, others are genuinely useful. In this post we will be discussing about 10 lesser known but useful Android apps. Now, we’ve all heard of apps like Dropbox, Clean Master, Candy Crush Saga and so on, as they are the most downloaded apps from Google Play Store, with over 500 million downloads. There are many others that are lesser known but equally useful. You may also like to read our blog on 14 best Android app that you must have. This blog is about 10 Lesser Known but Useful Android Apps that you may not have necessarily heard of but are sure to be amazed with, once you download and use them. 10 lesser known but useful Android apps. “Airdroid: Remote access & File” is an app that lets you have full control of your mobile device, through your desktop computer or laptop’s web browser. You can do almost anything without even touching your phone. It is one of most useful app in our list of 10 lesser known but useful Android apps. You can open or delete files in your phone, scroll through contacts, make a call, send text messages, Clean memory and boost phone, basically anything is possible with Airdroid. 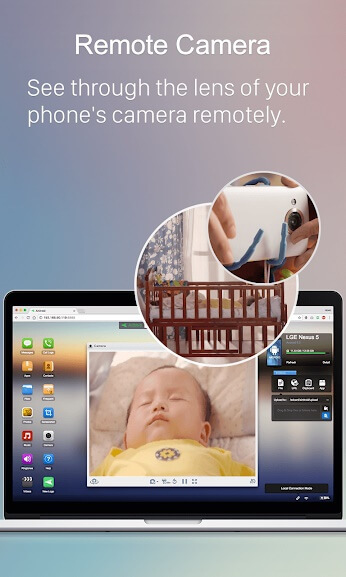 You can even take the screenshot of your phone screen with one click, see through the lens of your phone’s camera remotely, or reply to messages in apps like Whatsapp, line, messenger, all that without any root requirement. All you need to do is download the app on your phone, and create an account. On your desktop, open your web browser, go to Airdroid’s site, and sign in. That’s all you need to do to use your phone, through your computer. You need to make sure that both the phone and the computer are connected to the internet at all times. Only then, it’s possible for you to use the app. If you think that you need to spend a healthy life, and are looking for guidance, well, Fabulous is the key to your problems. 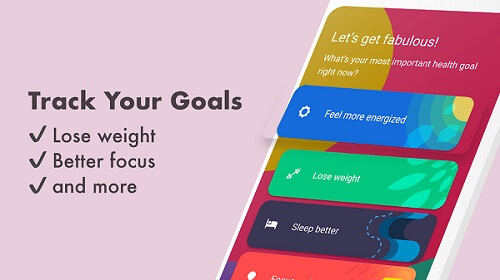 The app offers you all round tips on how to live a healthy lifestyle. It gives you suggestion on food, exercises, and other aspects of life. If you follow them, you’re sure to stay healthy. Fabulous is an app designed by Duke’s Behavioral Economics Lab. The team underwent quite an intense research to come up with these suggestions, and functionalities. All the features and information offered by the app are completely backed up by Science, so you could be rest assured. So, download the app for free on Google app store, and witness your life changing, from regular to a fit and healthy one. Libraries these days don’t just let you borrow the books in their hard-copy version, they also offer you the books in their soft copy version. Libby is one of the 10 lesser known but useful Android apps app that lets you connect to libraries around you, and borrow them as per your interest. You can download and read all kinds of graphic novels, e-books, audio books and so on. If you have a kindle and prefer reading through it, you can send your books there. While reading through the app, you can insert bookmarks and notes, and check your activity log to find out where you left. Libby is an amazing app especially if you love reading, but have trouble looking for books of your choice. 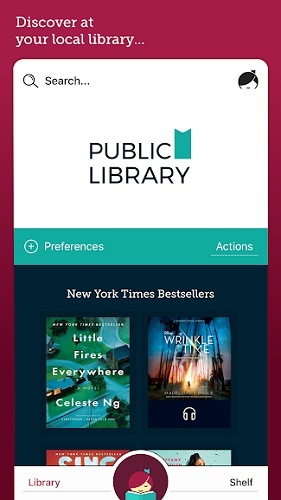 The app connects you to libraries around you, offering you reading options in an overwhelming number. 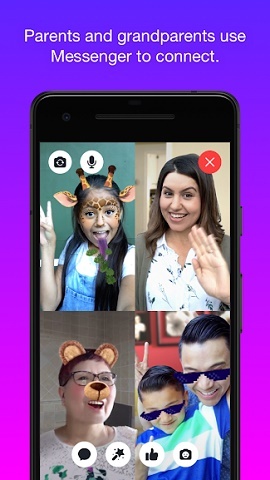 Messenger Kids is a more fun filled version of Facebook Messenger app, as it’s designed especially for kids. Kids can use its editing features to download cool themes, and make their interface look the way they want. It also allows them to make changes to their pictures, letting them further explore their artistic side. It offers all the services offered by regular Messenger apps like text messaging, voice chat, video chat, and so on. The most significant feature of the app is parental controls. Parents can check who they are friends with, who they’re chatting the most with, their messages, shared files and so on. So if you want your kids to enjoy all the features of regular messenger, while being safe and under your watchful protection, Messenger Kids is the app for you and your kids. Datally from Google is an amazing app that helps the users track and control their data usage with ease. What gives it an edge over the built in data usage control feature in any Android device is its app data usage monitoring and controlling feature. 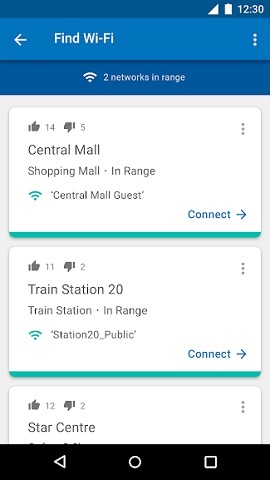 The app helps you monitor which app in your device is consuming what amount of data, and allows you to cut the data feed to them. Datally also gives you full control over data usage, and saves significant amount of data on a daily basis, letting you have more fun for an extended period of time. 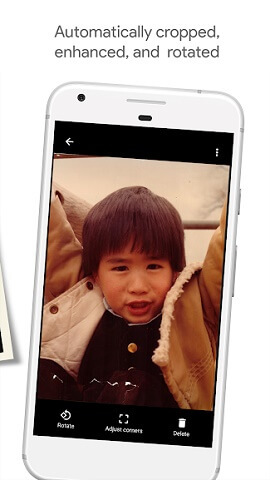 Photo Scan from Google helps you preserve your memories that are in the form of old photographs. The app offers a simple scan feature that lets you scan your photographs with utmost perfection. So make sure to download the app, and let the memories of your close one stay with your forever. Podcast and Radio Addict from Xavier Guillemane allows you to manage radio stations, you tube and sound cloud channels, live stream, podcasts and so on. It is an all in one app that lets you access all the sound based entertainment options. One of the major features in the app include easy search option through which you can search for your desired podcast using just their name or keywords. The app has an inbuilt audio effects feature through which you can control your playback speed, increase or decrease volume and skip silence. You can also manage your setting to automatically update or delete your playlists. 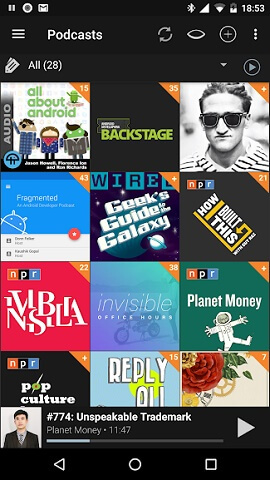 With all the podcast options available, and the managing features, this is a must download app for all the podcast and radio lovers. While the area of making international calls is dominated by apps such as Viber, WhatsApp and Skype, what’s important to notice about these apps is that they all require internet connection. Ringo is one of the other 10 lesser known but useful Android apps. They do offer free voice call services, but to use them, the callers at both ends need to have internet connection. This makes these apps quite unreliable, especially during emergencies, when there’s no internet connection. Ringo, on the other hand, lets you call from one number to another without the need to internet connection. So, you can call from your number to any other number around the world. Ringo has few amazing features. For instance, you need to have Ringo installed in your phone to make calls through this app, but the person you’re calling doesn’t need to have the app installed. Also, the first call is free, and you also get to earn free minutes every month. Moreover, the app also tells you the local time of the person you’re trying to call. 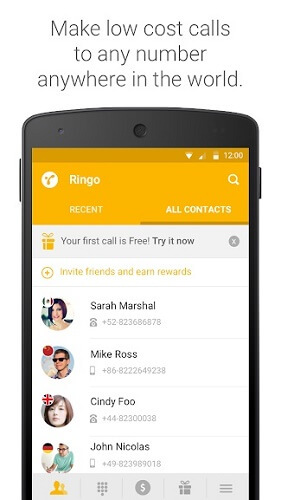 These features make Ringo quite a superior app than other calling apps. 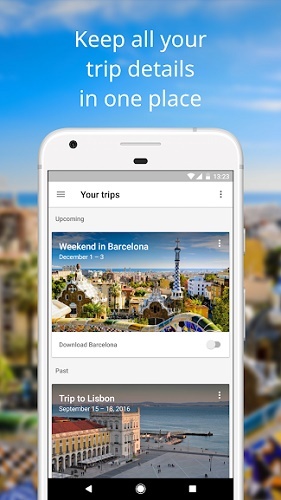 Google Trips is all in one travel app meant especially for travel enthusiasts. It helps you find out the most popular attractions at any given place. Anything from restaurants, cinemas to museums and historical places. Also, it allows you to make reservations in hotels and restaurants, and book your seats in buses planes and trains. Apart from all that information, the app also helps the users manage their day’s itinerary by properly calculating the travel distance between places to visit. So, go for Trips from Google, if you make to make your travel as easy as eating a piece of cake. 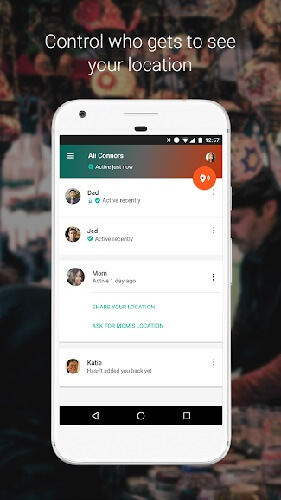 Trusted Contact from Google is an amazing app that helps you find out the location of the people close to you. It’s a very effective app, especially from the perspective of security. You can request for the location of your near ones, and if they accept it, you’ll get to know where they are. Users can also deny to share their location, to prevent strangers or anyone else from knowing where they are. If you send the location request, and the user doesn’t respond, you will automatically get the details of her last location. It lets the user share their location with their near ones, in case they’re not comfortable with their surroundings. One can also share files and documents once the connection is established. These and many other apps that exist out there, often unheard of, contribute to make our lives a little easier, and full of fun. All you need to do is explore a bit, and you’re sure to discover them. Trusted Contacts from Google changes your life by helping you establish stronger contact with your dear ones. You’ll always feel safe and secured with this app installed in your phone. All the apps mentioned in this blog can be downloaded for free from Google Play Store. We really hope that you found this blog to be useful and liked these 10 lesser known but useful Android apps , and that you will definitely try using a few of these. If there’s any app that you think we should have covered on our list, do let us know. Also share your experience using these apps with us.